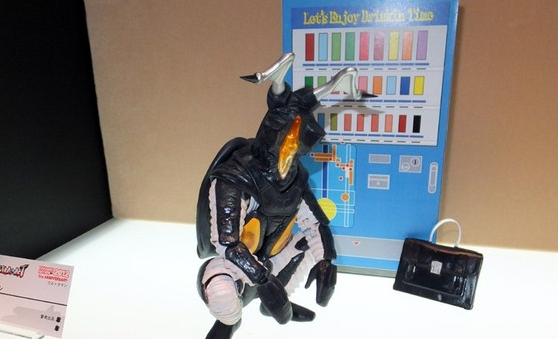 Do you guys think Buffaloman will be the last figure Figuarts is going to make? I don't think it's the end, but we'll certainly see a slow down. I think 6 months is the longest we've had between releases since the line started. Maybe 1 or 2 figures per year. At least until we get a new Anime or some other material they can cross market the figures with. We really need that Sunshine!! Next year is the 40th Anniversary of the manga, and I've been quietly praying for years now that Toei put out a Perfect Large Number Anime. If they paced it with 2-3 chapters per episode, it could be a really great 100 episode show!! They gave Toriko a shot! Why not Suguru again??!! Kinda suggests it has it's core, day one purchase fanbase, but then no broader appeal with the general public. Sad really. For me, the next big telling sign for the future will be JUMP FORCE. If they omit Kinnikuman from that game again, like they did with Victory VS, I think we're in trouble!! 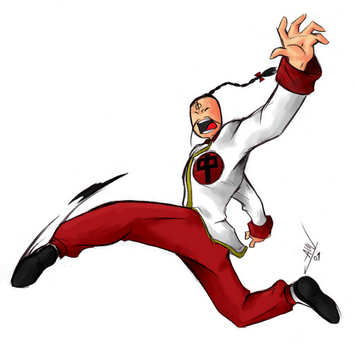 Edited by Kanji, 19 July 2018 - 03:56 AM. S.H. Figuarts released all the main characters for Lupin 3rd EXCEPT for Goemon, leaving the set glaringly incomplete. It wouldn't shock me if they ditched Kinnikuman the second sales dipped, leaving out many central characters. I can't really speak on Lupin III, but I know Tamashii have done this will a lot of different lines over the years. 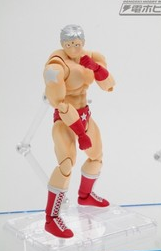 I guess i'm more surprise for Kinnikuman though since we've had 20+ figures in the line, which is a significant number to make and then just stop. If it were just 4 or 5, I'd understand, but the fact they've sold this long suggests the line has some legs. Edited by Kanji, 22 July 2018 - 10:42 PM. I think you wanted this link, there's been an update to the main blog so this is no longer the latest entry. I HOPE that Buffaloman isn't the last figure in the line, but if he is, they went out on a high note. Just received mine today and he's awesome. Any news? Are these done? Looks like we are done........next Tamashii event will be in 2019. Hopefully them make a comeback. In typical S.H. Figuarts style, didn't they show samples of several figures that now may never get released? I thought I saw a Sunshine, at least. My guess is they are not done. 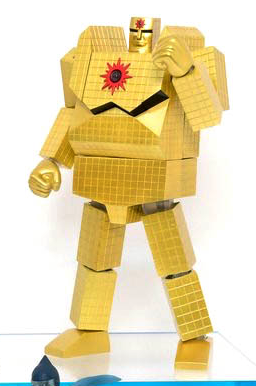 As long as Kinnikuman has been around, there has been merchandise. I think it's probably a way of not over saturating or fatiguing their audience. 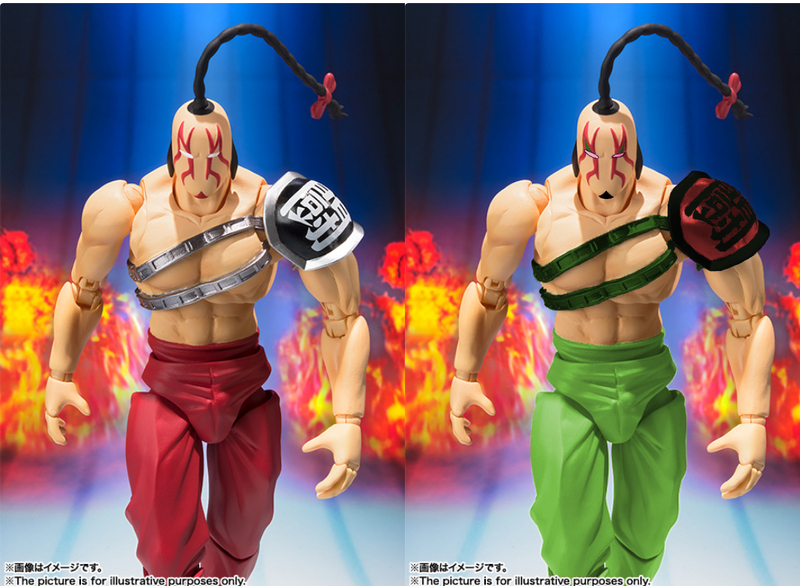 Next launch will probably have Kinnikuman with a tanktop or with the blue-shoulder-padded look, plus Sunshine, Black Hole, some new comers and a bunch of recolors. There are so many repaints available to them using just the characters we have, I doubt they'd not want to make use of them. Even their only Ramenman is labeled OCE. Toy companies tend to play the long game, especially Tamashii. For example, Nappa's proto was previewed in 2012, and our first Nappa figure came out in 2017. Tamashii also likes to return to long running series with improvements, like with the hip-articulation 2.0 work on Kamen Rider, Ultraman, as well as DBZ. Re-launches are often tied to other things like anniversary years, so 5-ish year cycles are common. 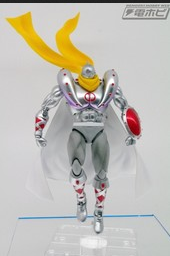 I don't know if there will be a new release of any Kinnikuman Figuarts anytime soon, but I am hoping there will be. This upcoming weekend is Tokyo Comic-Con. There might be an announcement. It appears that they are going to show more upcoming Figuarts releases. Edited by darkhadou316, 26 November 2018 - 08:45 PM. Well Tokyo Comic Con has come and gone. There was no news or images of Kinnikuman. Perhaps by next year we will see something. Here's hoping there will be some news next month or by the end of the year. It looks like we may be getting news next year. Kind of a bummer but there were some great releases this year. Hopefully they give us the remaining Scramble for the Throne Kinnikumen: Big Body, Mariposa and Zebra. Hopefully we will see Sunshine and Silverman released next year as well as Black Hole and Pentagon. That would be nice! It looks like we may be getting news next year. 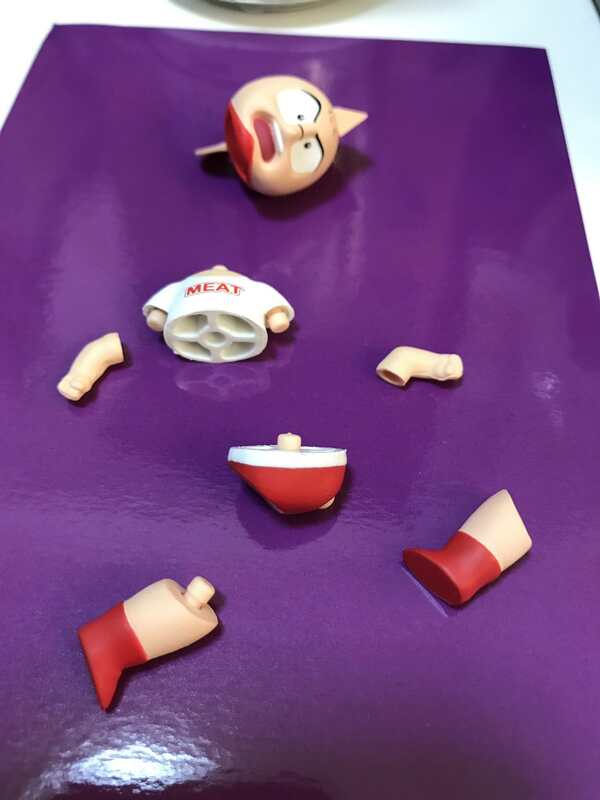 If anyone cares, I can elaborate on why I am sure we'll receive more SH Kinnikuman figs, but I am curious if there was news beyond speculation. I say that because the main focus of what was shown at Tokyo Comic Con was Marvel, Star Wars, Harry Potter, and Dragon Ball. I was expecting to see if we would get any news regarding Kinnikuman, but it seems that will be next year. I am only guessing and could be wrong, but that is what I am anticipating. The line is too deep to kill off at this point plus the manga is still running so here's hoping they will release other characters from it from the Perfect Chojin and with Omegaman's crew. I would love to hear from you Toyhandle as to why we will receive more. I want more figuarts! That seems like a solid assessment of that showing! Adding to what I was saying before, toy companies tend to work in 5 year cycles. At least, that seems be the case with companies doing work on long-running franchises, as those X0th/X5th anniversaries are prime time for merchandising. Bandai has this 5 year tendency in particular. I mentioned their return to previously made characters across various franchises with updated hip articulation and better proportions in series such as Ultraman, DBZ and Kamen Rider. 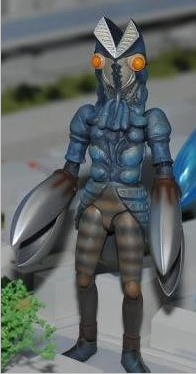 I am nearly positive we will see a new run of Super Sentai/Power Rangers figures with this same set of updates. 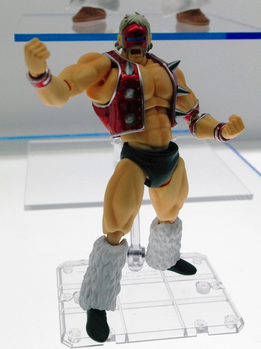 Bandai is particularly proud of their Wrestling Body developed for Kinnikuman, so I'm not quite sure we'll see a 2.0 like the ones above, but at least better looking versions of Kinnikuman than the speedo version we got, as well as new versions of other popular characters, like a bigger, Manga-inspired Buffaloman. 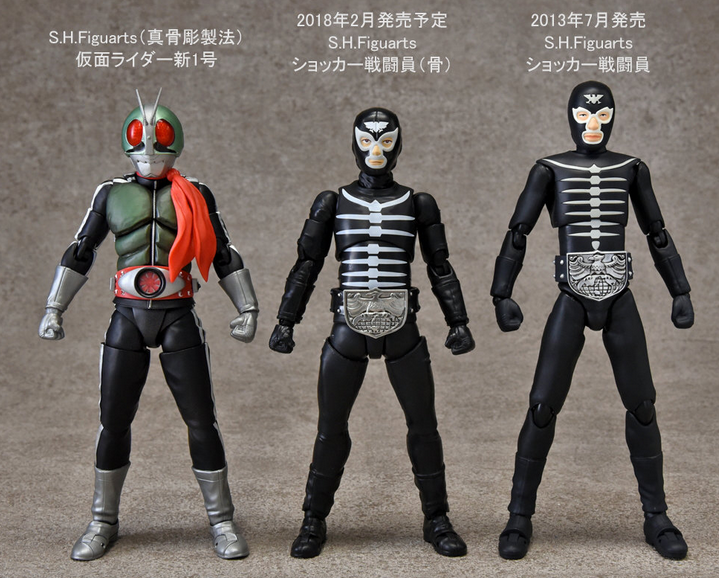 Those last five that were already shown + a new Kinnikuman would make one decent year's worth of figures every two months. Figures like the Pokemon Ash Ketchum and Team Rocket are speculated to have been developed long ago, before ever being previewed and released based on the articulation they feature, which is more in-line with Bandai's older work. Many thought their Street Fighter line was over, and then Blanka was shown. 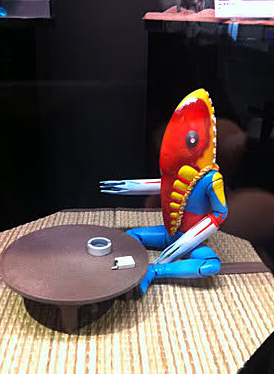 In 2012, Bandai showed off an entire line of Evangelion figures. I think that with the new Netflix deal, it is more likely we will finally see something come of those. Ultimately, it's all about timing. Kinnikuman has never been without toys, it has its own new-ish retail store for merch, the manga is going strong, and I don't think there's any way the previous figures have created less of a demand for more Kinnikuman SH Figuarts. I think it's less obvious to Western audiences that Bandai acquiring the Kinnikuman license is no different than acquiring other Japan-powerhouses like Ultraman and Kamen Rider. Thus, I'm confident we will see more. darkhadou316 and toyhandle, I really appreciate your insights. Your posts have given me hope for more releases from this line and I really needed that. This is the only line I have been able to get into from figure one that I actually still care to follow going forward, so it would be devastating if they stopped now, with Sunshine and Silverman so close to being produced for public sale. Here's hoping 2019 gives us at least a few releases, even if they are just recolors and rereleases to give us a sign that it's still going to continue. At WinterWonderfest 2019, Medicos showed off their Super Action Statues of Solider and Phoenix, alongside previously released Buffaloman, Warsman and Robinmask. 1. Medicos showed off those two figures long ago, and are just now returning to them. Indicates that there's reason for toy companies to make return visits to Kinnikuman, like I expect Bandai to. 2. Japan doesn't seem to have hard licensing exclusivity between companies, as very often multiple Japanese companies simultaneously release figures of the same characters. 3. Tamashii Nations wasn't at Winter Wonder Fest 2019, and didn't show off anything really new at Toy Fair 2019. So basically, nothing's changed for better or worse. Unless you wanted the SAS figures. Then it's better. Thanks for the update Toyhandle. 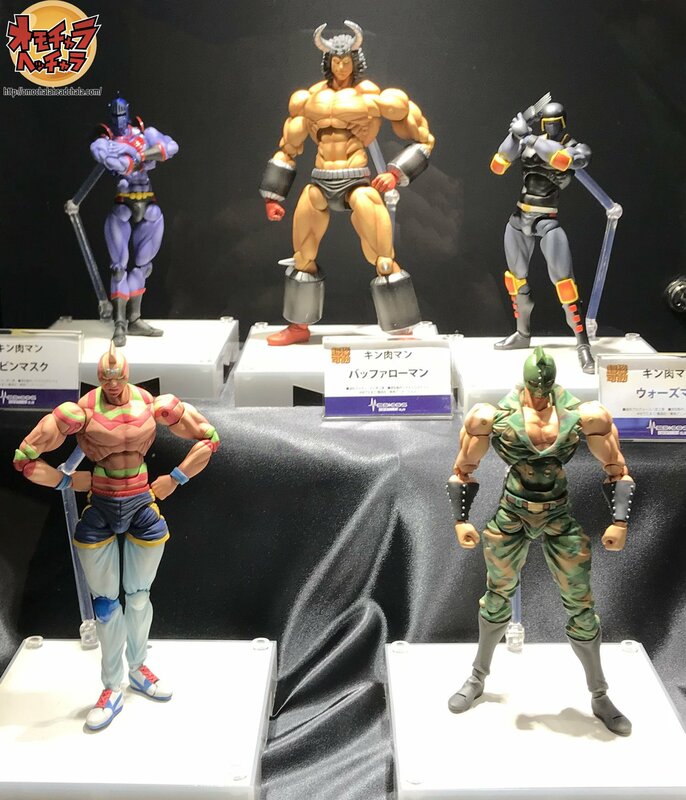 I was hoping that Tamashii Nations would have something more than what they showed, in particular some Kinnikuman figures but I was pretty sure that since Kinnikuman is more popular in Japan than overseas, there weren’t going to be any figures shown. 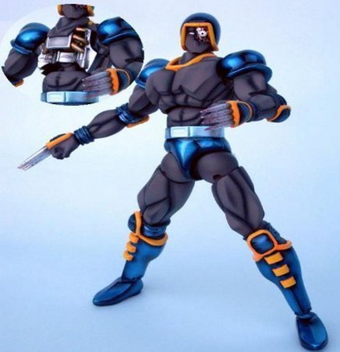 I was trying to find some pictures of the Medicos showing because I am interested in the Fist of the North Star Super Action Statues and have seen the prototype for Kenshiro. I was unaware that they showed Kinnikuman there at Wonderfest. Were the figures of Soldier and Super Phoenix painted or were they still prototypes? I am a fan of the SAS figures and was sad that they didn’t initially release the Soldier and Phoenix figures but I am glad they are revisting them! I hope they continue along with Bandai! Happy this forum is still active! Awesome Toyhandle! Thanks for sharing! Did they give a release date for the Soldier and Phoenix? Here's a link to a tweet with more pics. The cards in front of the figures are all in Japanese, so don't know if the release dates are up, but I also don't see them for preorder anywhere. Edited by toyhandle, 19 February 2019 - 05:09 PM. Eugh, don't really like the look of these two. Something about the torsos. Definitely feel more JoJo than Kinnikuman looking at these, which for some reason feels wrong in this particular case.